Half Marathon: Runners will no longer go past Santa Fe Dr towards the Fort Bragg entrance. Instead half marathon runners will take the Santa Fe Dr ramp just as the 10k does. 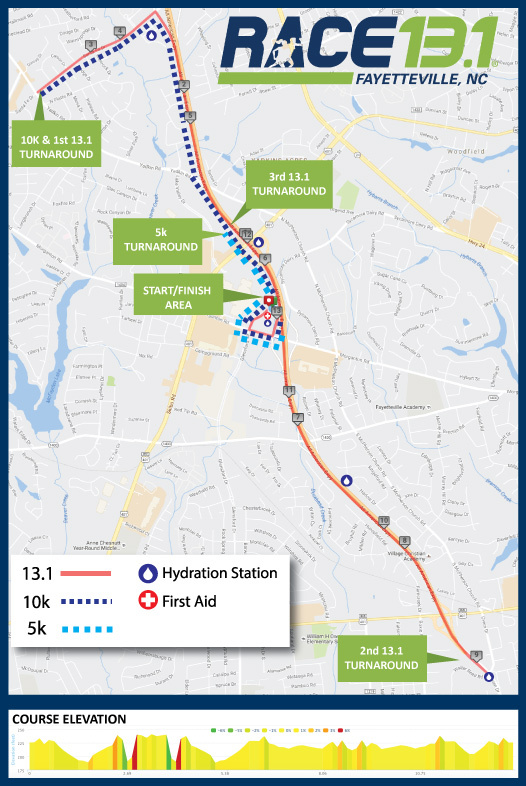 To make up the distance, after turning around at Owen Dr, half marathoners will run past Morganton Rd to a third turnaround, before returning to Morganton and exiting towards the mall. Click here for turn-by-turn directions! | Click here to watch the course video!